Temperatures in the affected areas are expected to plunge on Monday to record lows, highly unusual for this time of the year, which will disrupt power and gas markets. 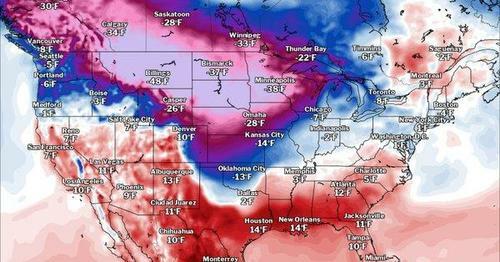 "A persistent anomalous cold will continue across the plains over the next week. This cold comes after a record cold February across this region, extending into the Canadian prairies. Heating demand will continue to run much above normal for Early March in this portion of the country with additional heating demand potential across the entire northern tier of the United States. In addition to the cold, yet another winter storm is forecast to impact the Northeast I-95 corridor Sunday into Monday with moderate to heavy snowfall expected," reported Meteorologist and owner of Empire Weather LLC., Ed Vallee.